I have been creating magical art and artifacts for a few years now. Through my meditations with the Merlin energy, I received images to use to help promote a more magical lifestyle and to help transmit the Merlin healing energy. 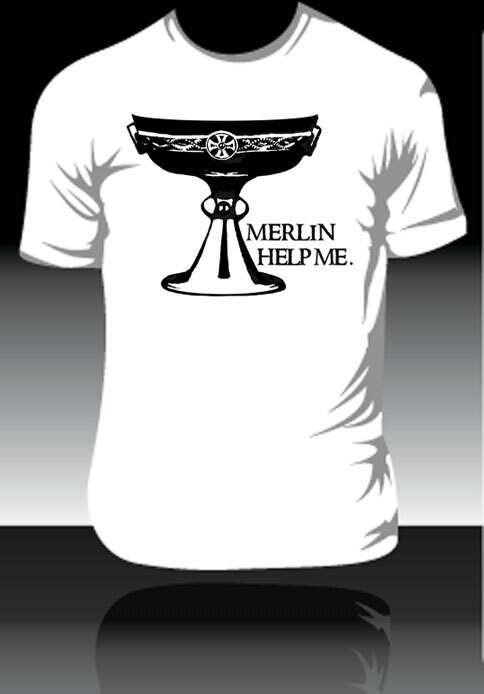 One set of images has become the "Merlin Help Me" T-Shirt line. 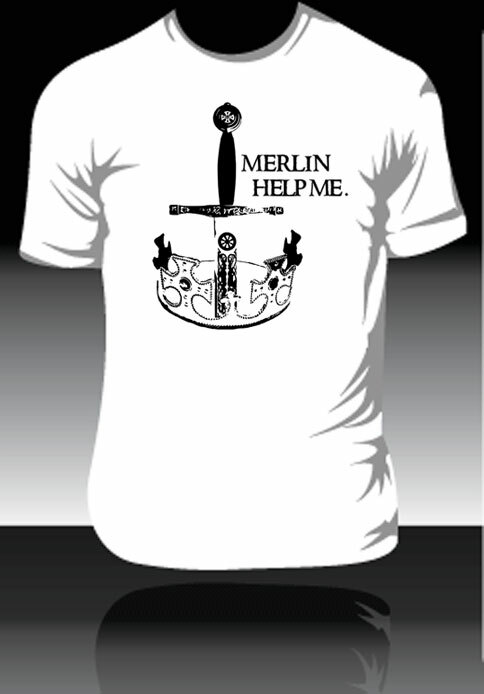 There are three different designs in this series, all with the exclamation "Merlin Help Me" under the image. 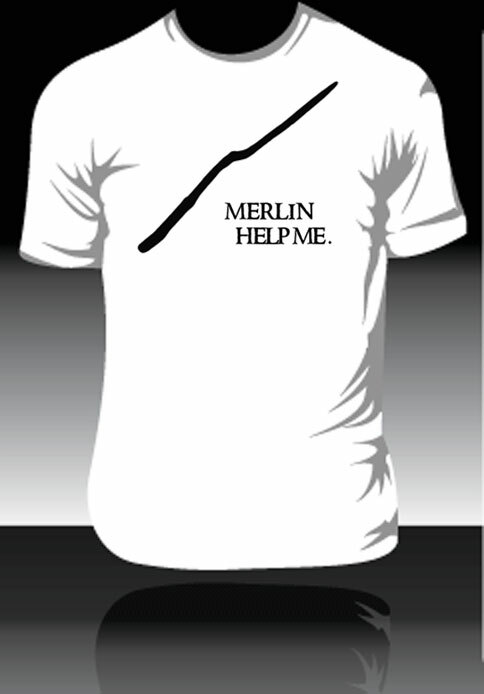 The first is a simple image of Merlin's wand, symbol of willpower in manifestation. 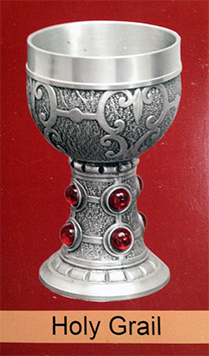 The second is an image of the Grail, a symbol of Merlin's Heart and representing Divine grace. The third image in the series is of the sword Excalibur embedded in Arthur's Crown, symbolizing the unification of masculine and feminine energies, the mixture of the magic of Merlin and the magic of The Lady of the Lake. 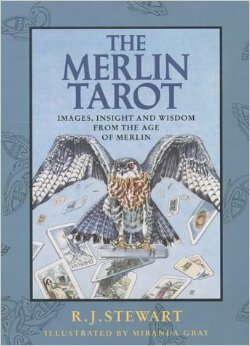 Based entirely on the adventures of Merlin and drawn from authentic 12th-century sources, this pack contains tarot cards which are recreated from images which pre-date the earliest known tarot cards by over 200 years and includes additional imported cards which were later removed or altered through late medieval orthodox religious influence. 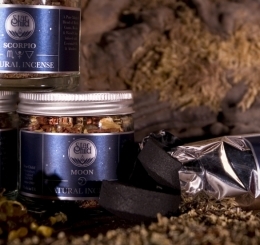 This pack also contains an illustrated guide to each of the 78 cards containing information on their divinatory use. A 52-card divination system—an inspirational tool to bridge the unseen world of Spirit and the physical world of our day-to-day lives. 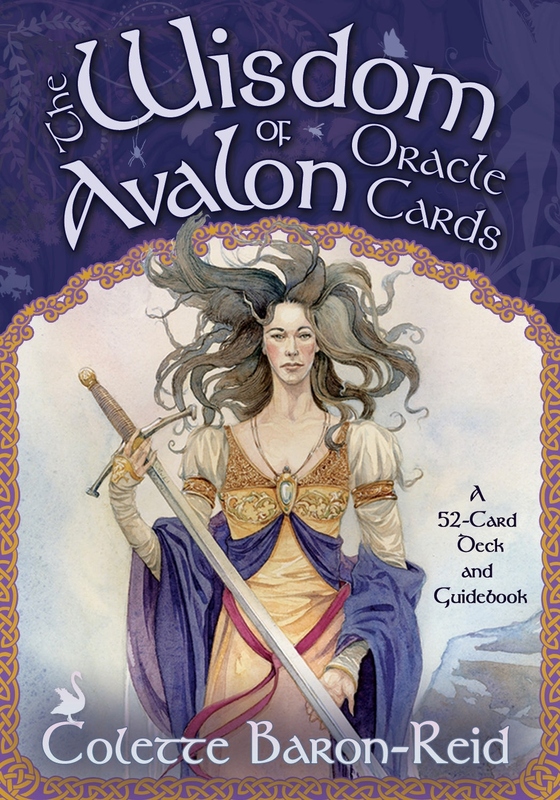 Based on the rich mythology of ancient Britain’s Isle of Avalon and the wisdom teachings of its priestesses, these cards will help you find valuable and powerful insights in all aspects of life as you chart your path and manifest your destiny with clarity and purpose. Deck features Merlin and Lady of the Lake cards! This is a 45 card deck that is part teaching tool and part healing tool. Each card illustrates a tool in the Magical Awakening healing system and explains how each tool works and how to use them for spiritual healing and personal growth. The deck is empowered, so you can receive a healing from each tool with its specific card even if you haven't had any training in the Magical Awakening system. The images are also great as a meditation tool. Tune into the image of the card to tap into the wisdom and energy of Merlin and Lady of the Lake. Original vintage back issues of Avalon to Camelot from the Publisher's Archives. Where the Dark Ages, the Middle Ages and the Timeless meet. They also have a great poster sized print of Alan Lee's Merlin.